In a world where flying means taking off your shoes and middle seats, Ryan Lunde's photography exhibits the majesty and wonder that still exist in the world of flight. His air-to-air images are not simply images of individual airplanes, but convey the excitement and drama that flying brings. 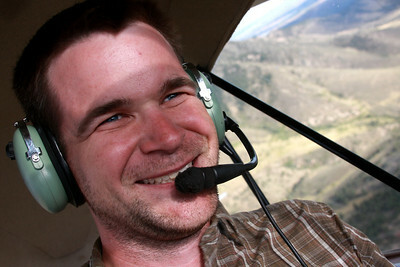 Residing in Wyoming, Ryan is a full-time wildlife survey pilot and flight instructor and flies his Aeronca Champ throughout the West. His work has appeared in several publications as well as the Spirit of Flight Exhibition in Seattle.